In a blog post about Redfin’s IPO, management analyst Rob Hahn said Redfin has an advantage over Compass when it comes to narrative. One of the most sought after studios located in the heart of the Upper East Side, close to amazing restaurants, parks, and transportation, including the brand new Q train. Inside the Eastmore. A full service condop, that offers a 24 hour doorman, live in super, roof deck, bike room, garage, laundry room and storage. Mint condition and move-in ready this luxurious corner-unit condominium is conveniently located in the heart of Lenox Hill. 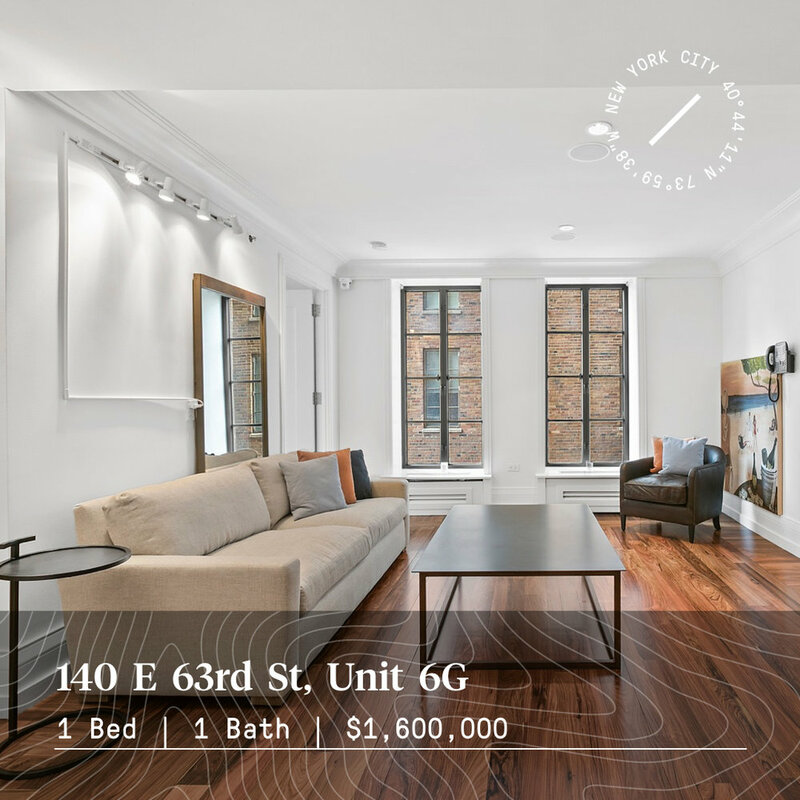 Charmed by its Romanesque architecture, this fully renovated 1-bedroom and 1.5 bathroom residence welcomes you with its deep crown moldings, rosewood parquet floors, and tall French encasement windows throughout. This spacious, loft-like one-bedroom set in a full-service Chelsea condo building is a truly magnificent home. From the stylish marble kitchen to the exquisite handcrafted details found throughout, this one-of-a-kind abode has been stylishly renovated with impeccable taste and an unparalleled attention to detail. Located in the East 70's, one of the Upper East Side's most coveted neighborhoods, is a rarely available bright, Junior 1 bedroom in the Kingsley Condominium (virtually staged). All day sun fills this apartment through oversized windows with open northern views. The apartment is in excellent condition with stunning wood floors & great closet space. Laundry facilities on every floor. This beautifully renovated apartment at the Hermitage offers a well-configured spacious layout with high-beamed ceilings and prewar charm. The Hermitage is a full-service prewar condominium constructed in 1920, in a prime location, ona Park block, just a short distance to Strawberry Fields and all that Central Park has to offer. Named for the notorious 19th century motorcycle gang, “Hell’s Kitchen” was once a part of town where few New Yorkers thought to live. Its gritty reputation and far-west location kept it under the radar. But today’s Hell’s Kitchen is a far cry from the image its name evokes. In the past ten years, developers and small business owners have planted roots in this up-and-coming neighborhood. A cohesive community of performing artists, professionals and long-time residents. Today, long-time residents who have seen the neighborhood through tougher times remain, and are still active within the community. Hell’s Kitchen has also become popular with the performing arts community, especially due to its close proximity to Broadway theaters, as well as its dance studios and galleries. Many residents find Hell’s Kitchen to be an excellent place to settle down. Large brownstones or spacious walk-ups often have better value here than they would further downtown or uptown. The neighborhood also has some of the cultural stature of its northern neighborhoods, but with a more relaxed atmosphere. Professionals are also a growing population in Hell’s Kitchen. A few high-rise buildings attract those who look for luxury in more affordable neighborhoods, and the neighborhood has fun entertainment options that can compete with the nightlife scene farther downtown. A neighborhood that has a little bit of everything: culture, entertainment, and convenience. In Hell’s Kitchen, the streets are saturated with local business across a spectrum of categories. Neighborhood-owned bakeries, bodegas, and bistros make it feel like a real community. You’re also never more than a few steps away from world-renowned theaters on Broadway, a major attraction for New Yorkers and visitors from around the world. Hell's Kitchen is home to a broad array of diverse bar scenes. There is a place for everyone here. Decidedly unpretentious: bustling streets, eclectic restaurants, and a welcoming atmosphere. In Hell’s Kitchen the streets always have a steady buzz about them, giving an energetic and spirited feel to the neighborhood. Street vendors sell produce, flea market knick-knacks, and seasonal goods for affordable prices. It’s not uncommon to see a friendly rapport between vendors and regular customers who live in the neighborhood. In Hell’s Kitchen, being so close to water provides a convenient escape to beautiful scenery. Traveling down the piers and docks of the Hudson River offers impressive views of the skyline. Residents also enjoy a beautiful park along the West Side Highway, complete with paths and grassy knolls. Athletic fields and courts are available to everyone, while kayaks and boat tours entice those want to spend time out on the open water. Hell’s Kitchen is also increasingly gaining a reputation as a popular dining neighborhood. Ninth Avenue is known for its rows of ethnic restaurants across a variety of cuisines. Here, dining is simple and accessible - you can often arrive at most places without a reservation and be seated soon after. In addition to restaurants, Hell’s Kitchen also has a thriving bar scene. Rudy’s Bar and Grill is a favorite of neighborhood residents in the know. Dives and lounges are casual and popular with locals. Smaller spots specialize in specifics; Pony Bar features an impressive menu of domestic brews while Xai Xai is the best South African wine bar in town. Anyone who hopes to escape the loud noise or congestion of Midtown. Depending on which part of Hell’s Kitchen you choose, you might have to become accustomed to the noise of thise Midtown neighborhoods. Port Authority and Times Square are nearby, which makes for tourists and travelers at all hours of the day. Farther west past Tenth Avenue is much quieter, with peaceful side streets. Mostly affordable walkups and doorman buildings, and newer luxury-high rise buildings. In Hell’s Kitchen zoning laws cap most buildings in the neighborhood to six stories, so homes tend to be in walk-ups, townhouses or brownstones. Exceptions are often given to larger development projects; a few high-rise luxury buildings have sprung up and become popular with professionals. The way this up-and-coming neighborhood continues to evolve while staying close to its roots. Hell’s Kitchen has come a long way from its rough-and-tumble history. New developments and businesses are springing up throughout the neighborhood, and extending the skyline onward and upward. Still, Hell’s Kitchen always finds a way to resist the pressure of becoming too trendy too quickly. Instead, you’ll always find a neighborhood of substance that’s quiet and unassuming in its charm. The neighborhood has come a long way in recent decades, and it’s clear that there’s an even brighter future ahead. And once you’re one of the neighbors, you’ll be thrilled to join along for the ride. Profiled by NBC, CBS, Business Insider & Mansion Global.Residence 8B is one of the most extraordinary offerings ever made available at 15 Central Park West, the most prestigious residential enclave in New York. Grand 5 Bedroom, 5 Bathroom Duplex in the Hampshire House, 150 Central Park South! Located on the 28th and 29th Floor, the apartment has magnificent Central Park views as far as the eye can see. Upon exiting the private elevator landing, one enters into a 25-foot wide gallery. Facing north and west, the living room includes a bank of west-facing windows with views of Columbus Circle and 15 Central Park West. Breathtaking views from this one of a kind exceptionally priced luxury Penthouse Welcome to Apt. 30E, a meticulous property that has been recently gut renovated to lofty perfection with no detail spared. 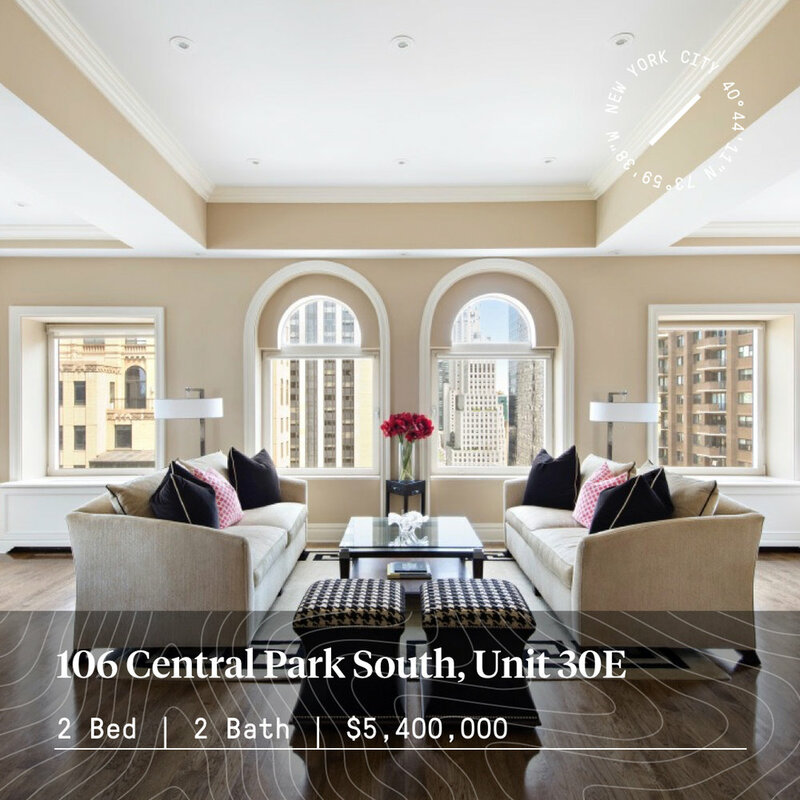 If you are looking for the epitome of central park living, this is it. The property is truly unique, it features unobstructed Central Park views and unobstructed South facing views all the way to the Freedom Tower from the comfort of the living room. Situated directly across the entrance to Central Park, this is as good as it gets. A truly magnificent home in the highly desirable, Robert A. M. Stern designed 15 CPW. Perched on the 28th floor overlooking Central Park, this home has been elegantly renovated, elevating its level of luxury. Upon entering the formal foyer one is greeted with breathtaking views over Central Park and the East side. The living room, dining room and library feature elegant proportions and flexible design allowing for large scale entertaining or more intimate gatherings. The crisp white kitchen is outfitted with Wolf and SubZero appliances. The private quarters of this home are located in the west wing of the apartment and all have open views over the Upper West Side. MoMA PS1 is one of the largest art institutions in the United States dedicated solely to contemporary art. In addition to its exhibitions, the institution also organizes the Sunday Sessions performance series, the Warm Up summer music series, and the Young Architects Program with the Museum of Modern Art. Founded in 1971 by Alanna Heiss, a leader of the Alternative Spaces Movement, the P.S. 1 Contemporary Art Center was opened in a deserted Romanesque Revival public school building. This building, dating from 1892, served as the first school in Long Island City until 1963, when the First Ward school it housed was closed due to low attendance and the building was turned into a warehouse. The museum opened in June 1976 with the inaugural "Rooms" exhibit, for which Heiss invited a great number of artists - many of whom experimented with such new forms as video, installation, and performance art - to install their work throughout the building. Over the next three decades, P.S.1 became one of the most respected exhibition and performance spaces in New York, with such exhibitions as New York, New Wave (1981); Stalin's Choice: Soviet Socialist Realism, 1932–1956 (1993); Greater New York (2000 and 2005), and Arctic Hysteria (2008); Robert Grosvenor (1976); Keith Sonnier (1983); Alex Katz: Under the Stars, American Landscapes 1951–1995 (1998); John Wesley: Paintings 1961–2000 (2000), and Gino De Dominicis (2008). Rooms were also used as artists' studios. In 2000, the organization became affiliated with The Museum of Modern Art, giving it greater financial stability, extending the reach of both institutions, and combining P.S.1's contemporary mission with MoMA's strength as one of the greatest collecting museums of modern art. Some of America’s most famous families have made their homes on the Upper East Side: the Roosevelts, Kennedys, Rockefellers, and Carnegies were all real-estate pioneers in the early 1900s and developed the neighborhood into a beautiful and posh place to live. For many, the Upper East Side is the ideal balance between cosmopolitan living and pastoral sensibility. The Upper East Side has steadily become a popular destination for the under-30 crowd. An affordable and spacious apartment for those who require it. The Upper East Side moves at a slower, more relaxed paced than other neighborhoods in Manhattan. The wealth of playgrounds, community centers, and schools make it feel like a suburb within the city. Playtime in Central Park, constant culture at your fingertips, and a fun and accessible nightlife. Central Park becomes your playground when you live on the Upper East Side. If you enjoy exercising outdoors, you’ll have no shortage of options for running and biking in Central Park. Over on East End, you’ll find the lesser-known but equally beautiful Carl Schurz Park, an intimate space with dog runs and great views of the river. Museum Mile is home to a row of some of the finest museums in the country, including the Guggenheim, the Jewish Museum and the Met. After dark, nightlife is vibrant on Second Avenue. There are no clubs and no guest lists - karaoke lounges and Irish pubs welcome in anyone and everyone. A short commute for someone who spends a lot of time below 14th st.
Commuters may find the Upper East Side inconvenient. There is only one main subway line (the 4/5/6) that runs through the neighborhood. Reasonable apartments for diverse budgets, and expansive townhouses for a higher cost. The Upper East Side real-estate is the stuff of legends, especially townhouses and luxury doorman buildings on Fifth, Madison and Park Avenue. The understated green awnings and attentive doorman belie some of the most impressive homes New York City has to offer. But further east, one and two-bedroom apartments are some of the most affordable in the city. Young adults and recent New York transplants can find a cozy pre-war apartment for an outer borough price. Staying close to home - everything you need is in this sprawling, self-contained Manhattan retreat. Although the Upper East Side can feel far away from the rest of the city, you’ll be so taken by the beauty of this quiet, lush neighborhood that you probably won’t mind.